Dragon Ball XenoVerse, based on one of the most influential Japanese anime Dragon Ball Z (which anyone can figure out 😑) is a fighting role playing game. It’s published by Bandai Namco who already have released many video games based on famous anime like Naruto, One Piece and other titles like Tekken and Dark Souls. Also Xenoverse isn’t their first Dragon Ball game so it really created a hype when it was released last year..
Dragon Ball Xenoverse is a third person fighting game where you play as one of many DragonBall universe characters. It even includes the latest addition from Dragon Ball Super and Resurrection ‘F’. 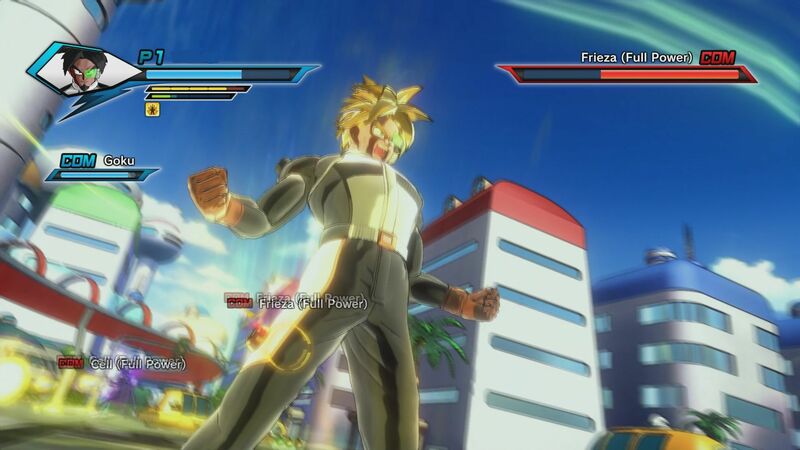 Goku’s all super saiyan forms can be unlocked as you progress through story mode . This wasn’t my first Dragon Ball game as I did play Dragon Ball Z :Budokai Tenkaichi 2 and Budokai Tenkaichi 3 when I was a kid. They both fascinated me as a kid and I used to play them a lot with my friends in 2 Player VS Mode. Dragon Ball Xenoverse made me relive that time once again . So, I can’t help but to get a very veryy little biased towards it in this review. 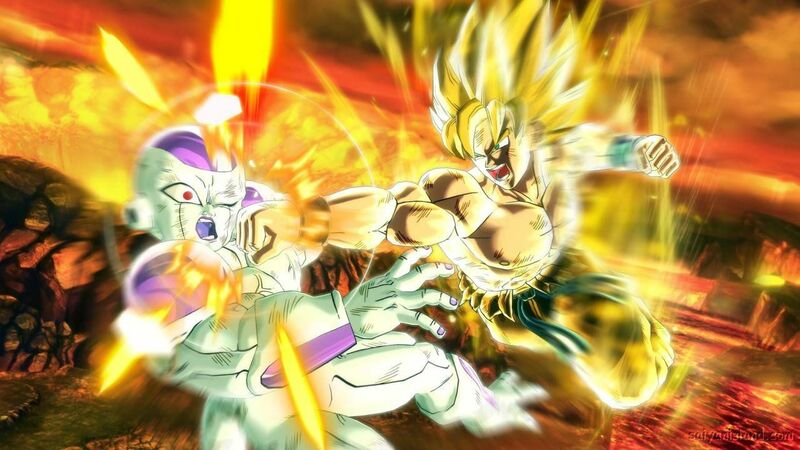 The game starts with the epic soundtrack of DragonBall Z and next comes THE FIGHT between Goku and Frieza and after the fight comes character creation. 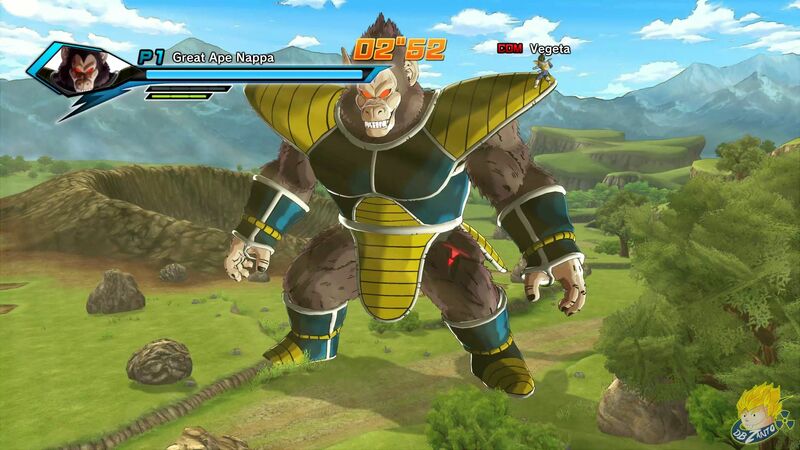 It’s the third game in the Dragon Ball series to include character creation. You can choose your character to be human or saiyan and there’re other customizations too. 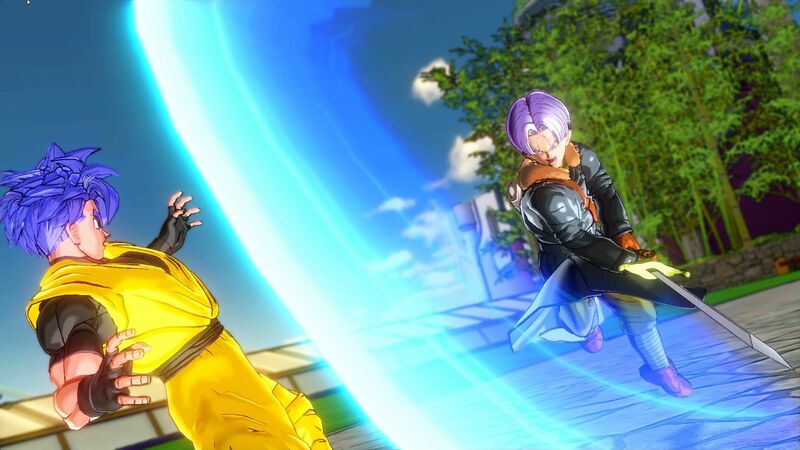 After getting done with the character you have plenty of games mode to choose from, which are Universe (Story) Mode, 1 vs 1, 2 vs 2 Battle Arena , Parallel Quests and Saiyan Sagas. In the universe mode you can explore the Earth and create your own story. Gameplay is similar to other Bandai Namco Dragon Ball releases and also if you’ve played Naruto Shippuden then this game is easy to understand. But the first time players will struggle with the menu as it’s not like the traditional game menu and instead there’s a plaza like place in which you’ve to walk your character to start different game modes, but you’ll get used to it after few games. You can meet different players in the plaza if you’re online. Also I felt there were less no. of attacks and combos available and the developers should’ve shown some creativity with the available controller buttons. 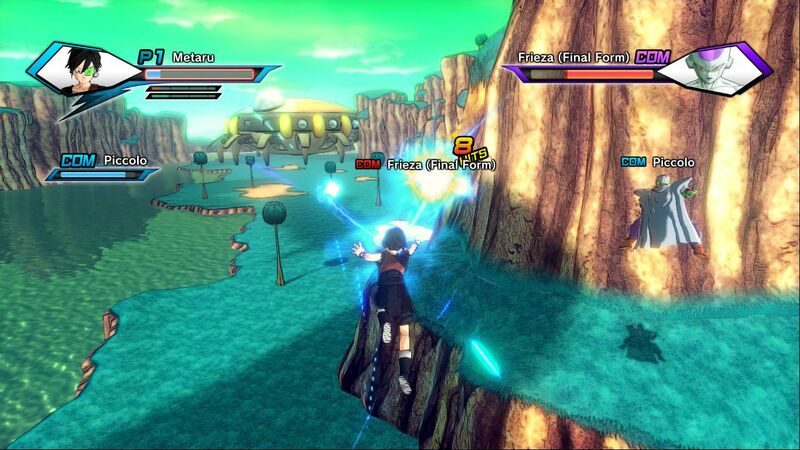 Controls are straight forward and easy to remember and special attacks keymap is displayed on screen during play. Graphics are mediocre and more cartoony instead of anime like and I hated this aspect of the game. Well if you compare it with Budokai Tenkaichi 3, you can’t get the ultimate Dragon Ball feel with Xenoverse as the special attacks also doesn’t look as great as they should. I just wish they release a graphic enhanced version of Budokai Tenkaichi 3 sometime in future. 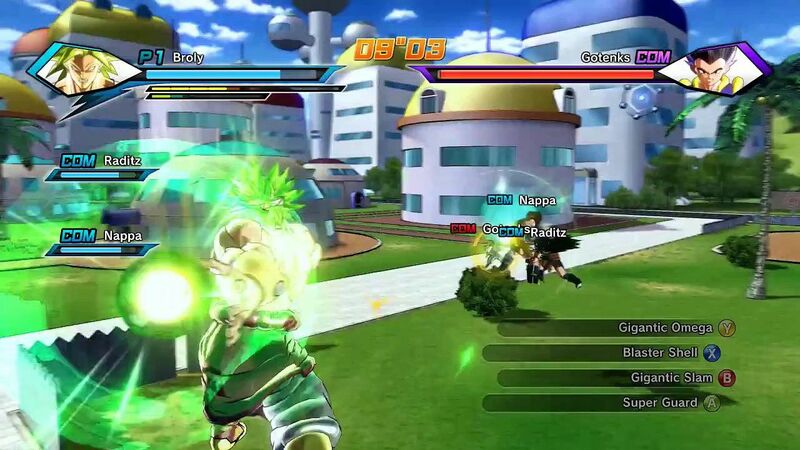 If you’re a fan of Dragon Ball Z and a gamer as well you wont’t be hearing about XenoVerse for the first time and probably have played it already, but if you don’t fall in the first category then you can give this a try for the co-op mode if you enjoy games like Street fighter or Tekken with your friends. Kernel Ketchup is a virtual motherboard integrating all your Superhero Fandoms, Tech Curiosities, Mind Bending Movies, TV Series Worth Your Time, Games You Should be Playing, App Suggestions and Music For Your Eargasm. Enter your email address to follow Kernel Ketchup and receive notifications of new posts by email. ©Kernel Ketchup, 2016- . Unauthorized use and/or duplication of this material without express and written permission from this site’s author and/or owner is strictly prohibited. Excerpts and links may be used, provided that full and clear credit is given to Kernel Ketchup with appropriate and specific direction to the original content.